About SheThePeople.TV: SheThePeople.TV is a concept conceived, developed and owned by Digitalist Tech Media Pvt Limited a company incorporated under the laws of India (referred to herein as “we” or “us” or “our”). All proprietary rights and intellectual property rights in SheThePeople.TV are owned by Digitalist Tech Media Pvt Limited. All contents on SheThePeople.TV (which reference if not repugnant to context includes the websites or blog) are either owned by Digitalist Tech Media Pvt Limited or are otherwise legally licensed. Our content may not be sold, reproduced, or distributed without our written permission. Any third-party trademarks, service marks and logos are the property of their respective owners. Agreement to Terms: By accessing the contents on this website “you” (the user), fully and unconditionally agree to these terms and conditions and acknowledge acceptance of the disclaimers contained herein. If you do not want to be bound by these terms your only option is not to visit, view or otherwise use SheThePeople.TV. You understand, agree and acknowledge that these terms constitute a legally binding agreement between you and SheThePeople.TV. SheThePeople.TV reserves the right to modify these terms from time to time at our sole discretion and without any notice. Changes to our terms become effective on the date they are posted and your continued use of SheThePeople.TV after any changes to terms will signify your agreement to be bound by them. Other websites and links: From SheThePeople.TV, you may be able to visit other websites by following hyperlinks to these sites. While we endeavour to provide links to useful and ethical websites, we have no control over the content and nature of these sites and the links to other websites do not imply a recommendation for the content found on these sites. Please be also aware that when you leave our website, other sites have different privacy policies and terms which are beyond our control. Some content on SheThePeople.TV may be generated by our own team and from our contributors, while other content may be sourced from reliable sources which are duly acknowledged or otherwise permitted under licence. 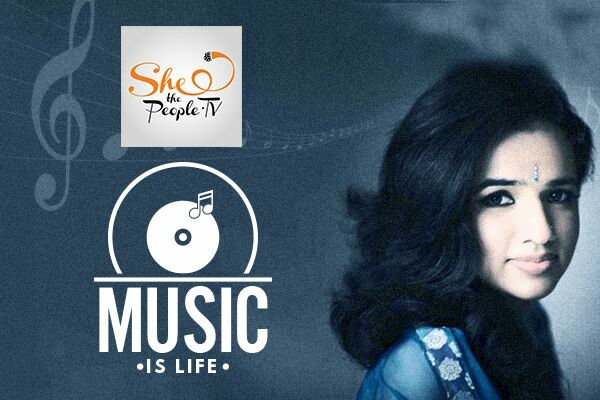 Submission of content: When you submit content to SheThePeople.TV you simultaneously grant us an irrevocable, worldwide, royalty free license to publish, display, modify, distribute and syndicate your content worldwide. You confirm and warrant that you have the required authority to grant the above license to us. All remarks, suggestions, comments, or other information that you send to SheThePeople.TV will not be treated as confidential. You acknowledge that you are responsible for any submission you make. This means that you (and not we) have full responsibility for the message or comment or input or view including its legality, reliability, appropriateness, originality, and copyright. However, we retain the right, which we may or may not exercise, in our sole discretion, to review, edit or delete from SheThePeople.TV any such material which we deem to be illegal, offensive or otherwise inappropriate. We reserve the right to unpublish or refuse to unpublish anything for any or no reason. Warranties: You understand and agree that your use of SheThePeople.TV content is entirely at your own risk. SheThePeople.TV does not make any express or implied warranties, endorsements or representations whatsoever as to the operation of the website, blog, information, content, materials, or products. This shall include, but not be limited to, warranties that access to or use of the service will be uninterrupted or error-free or that defects will be corrected. Liability: You understand and agree that SheThePeople.TV, its proprietors, managers and any of its subsidiaries or affiliates shall in no event be liable for any direct, indirect, incidental, consequential, or exemplary damages. This shall include, but not be limited to damages for loss of profits, business interruption, business reputation or goodwill, loss of programs or information or other intangible loss arising out of the use of or the inability to access SheThePeople.TV, or any permanent or temporary cessation of such service or access to information, or the deletion or corruption of any content or information, or the failure to store any content or information. The above limitation shall apply whether or not you have been advised of or should have been aware of the possibility of such damages. In jurisdictions where the exclusion or limitation of liability for consequential or incidental damages is not allowed the liability of SheThePeople.TV shall be limited to the greatest extent permitted by law. Use of content: You may not copy, reproduce, republish, upload, post, transmit or distribute materials on SheThePeople.TV in any way or for any other purpose unless you get our written permission first. Neither may you add, delete, distort or misrepresent any content on SheThePeople.TV. Any attempts to modify content or to defeat or circumvent any security features are prohibited. Everything you download is considered licensed to you by SheThePeople.TV or third-party licensors for your personal, non-commercial home use only. Infringement: If you believe that any copyrighted work has been copied and is accessible on SheThePeople.TV in a way that constitutes copyright infringement, please send us a mail on connect@SheThePeople.TV providing us full information. We will verify your assertion and evidence and take steps as may be deemed appropriate. Advertising: The ads appearing on SheThePeople.TV are managed by our advertising team/partner. Our advertising team/partner may place or recognize unique cookies on your browser and use information about your visits to this and other websites in order to provide advertisements on this site and other sites about goods and services. The information collected does not include personally identifiable information like your name, address, email address or telephone number. It does include IP addresses, though these are not tied to individual readers’ accounts. SheThePeople.TV is also supported by advertising. Sponsors have no control over the editorial content. If a sponsor is involved in our content or editorial we will make it clear. Banner ads may promote our contributions and link to the advertiser’s site. A marketer could sponsor a particular content over a given time period. That sponsorship may include interstitial or embedded ads within the video or to content and/or branding of the video player. Our events are public events that take place in public venue where appropriate attendees come to learn, observe and engage with an audience. SheThePeople is not liable to loss, damage, theft or any such situation arising out of attending these events. The Company will not be responsible for any civil or criminal proceedings or liability that arise out of acts of attendees or performers at events. You will indemnify the company in all respects for any violations by you of any laws, rules, regulations or policy. Attendes shall be fully responsible for their conduct at all points. We encourage all attendees of public events to be alert for their own safety and security. 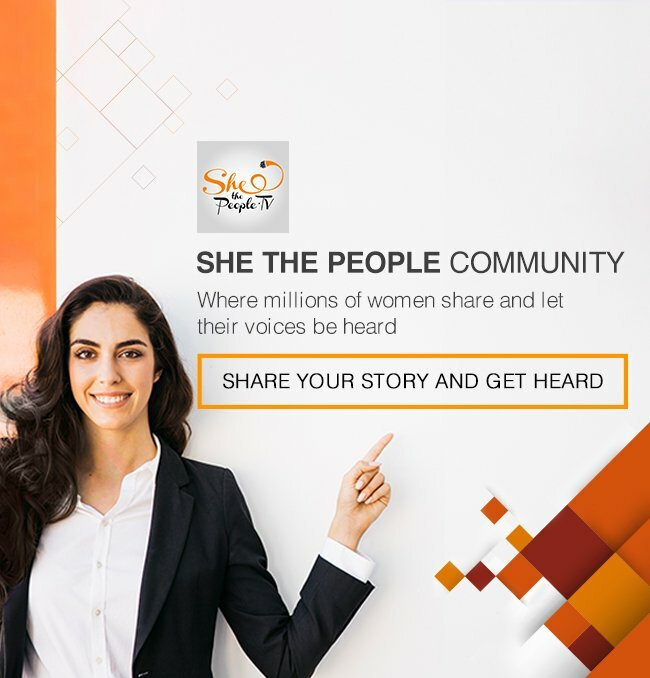 Thank you for being part of the www.SheThePeople.TV community. Our objective is to generate maximum but relevant discussion on the contents available on SheThePeople.TV. Discussions ought to be appropriate, constructive, informative, entertaining, or all of the above. SheThePeople.TV content will be moderated to the extent possible. Please be respectful about your opinions and not be offensive, inappropriate, racist, sexist, or annoying. Please don’t personally insult, bully, threaten, or harass writers or your fellow commenters. SheThePeople.TV will exercise full discretion to delete such comments. Please don’t include e-mail addresses, physical addresses, or phone numbers in your comments for the purpose of self-promotion. Such comments will be deleted or redacted. Anonymous comments are approved when a moderator is available to do so. For this reason, registering as a user (which one can do without disclosing personally identifying information) is strongly encouraged. Comments by registered users are given more leeway with regard to the aforementioned guidelines than those of anonymous commenters. If you give us a non-working e-mail address when you register, please don’t complain that we didn’t contact you if your account is suspended. Links are allowed in comments as long as they add value in the form of information, images, humor, etc. It’s generally OK to link to large information sites and news sites and interesting-stuff sites but we’d much rather that you coherently voice your own opinion here. Links to the front page of your personal blog or website are not okay. Links to commercial sites are not okay. Links to offensive material such as racist websites, images or videos are not okay. If the intent is simply to shock or offend, it’s not okay. If the intent is to broaden discussion on a given topic with your peers, it may be okay. Jurisdiction: This Agreement in all respects shall be governed by and construed according to the laws of India to the exclusion of any other applicable body of governing law, without regard to conflicts of laws principles. You agree that the exclusive venue for any dispute arising from or related to this Agreement will be a court located in Mumbai, India. Complaints: If you have any complaints, feedback, comment, view on SheThePeople.TV contents, you may please write to connect@SheThePeople.TV , clearly explaining the issue and providing supporting evidence if so necessary. We will take legal opinion on the issue and take appropriate steps, as and when deemed necessary. We welcome alerts about typos, incorrect names, factual errors, and the like. We generally do not correct quoted text.